Lt. Thos. Clinton Butler, son of Mr. and Mrs. T. C. Butler, Graham, husband of Christine Newman, attended Graham High and john Tarleton. Entered AAC, 1944, trained at Barksdale Bield, la., Ill., Cal., Ariz. and Nebr. Served in ETO. Awarded Purple Heart, Flight Medal, DFC with 2 OLC, EAME and GCM. Killed in action in Germany, 1944. 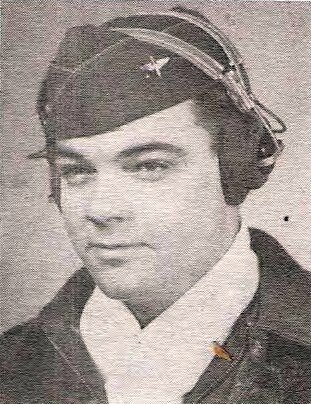 Clinton Butler is listed on the "In Memoriam" page in the original 1940's publication, "The Men and Women in World War II From Young County Texas".